The municipality of Livinallongo del Col di Lana, Fodom in Ladin (the traditional language) and Buchenstein in German, is one of the municipalities which belongs to the 5 Ladin valleys. 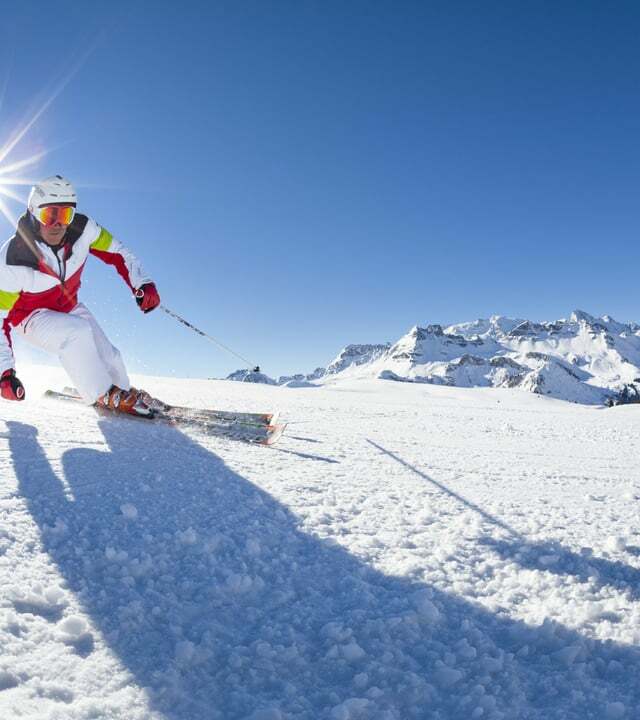 Situated in the high Cordevole valley among the Dolomitean Passes Pordoi, Campolongo and Falzarego, the area is located on the boundary between the provinces of Belluno, Trento and Bolzano/Bozen. Our valley, of which the main touristic centre is Arabba, has a very ancient story, which began with the presence of “Salvàns" and “Ganes”, turned now into mythological characters of our legends. 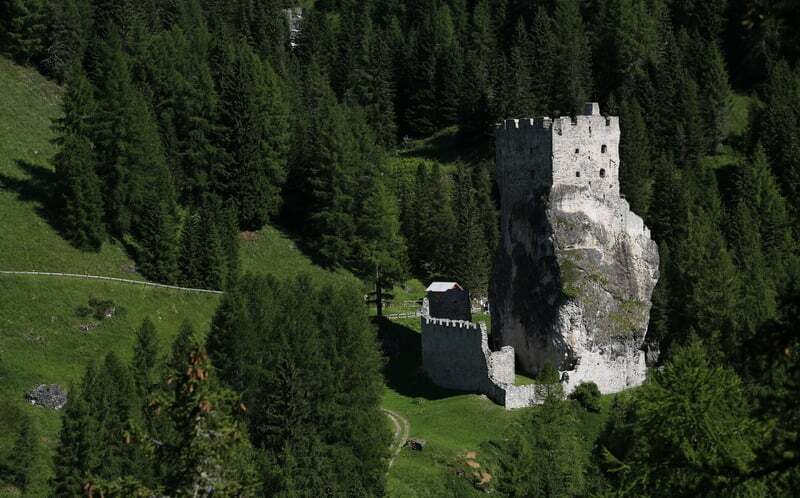 The area fell under the power of Tyrol with the construction of the Andraz castle around the 1000 A.D., recently renovated and visitable nowadays. It was built to protect the Tyrolean southern border, therefor it turned into a residence of the Princes-Bishops of Brixen, who retained also the rights to exploit the Fursil mines, in the municipality of Colle Santa Lucia, another village of the ladin valley. Between 1901 and 1909 a big event was fundamental for the progress of tourism : the construction of the Big Road of the Dolomites "Die Große Dolomiten Straße", which connects the town of Bolzano/Bozen with Cortina, crossing Costalunga Pass, Pordoi Pass and Falzarego Pass. Right after this important construction along the route the first hotels opened. Later Livinallongo became possession of the Austrian empire until the end of the First World War, that here had been so bloody. The name of the village comes from the ladin word "livinal", which means a canyon, subject to landslides, referring probably to the narrow valley that characterizes Cordevole river's course. 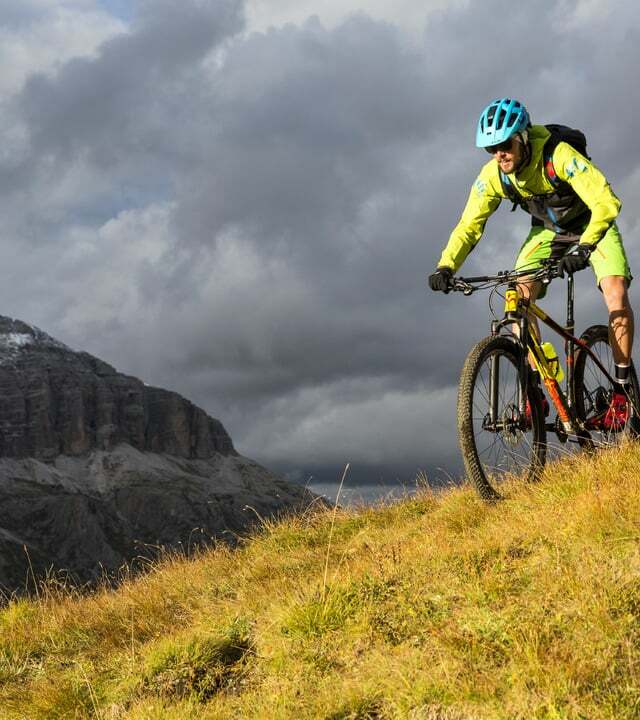 The entire denomination "Livinallongo del Col di Lana" refers to the same mountain, the so called "Col di Lana", becoming sadly famous because of the bloody period during the First World war until Caporetto defeat in 1917. The ladin word "Fodom" seems to refer to the beeches that grow here ; from the same origin comes the German name "Buchenstein", that combines the word "Buche" (beech) and "Stein" (stone), maybe referring to the Andraz castle. 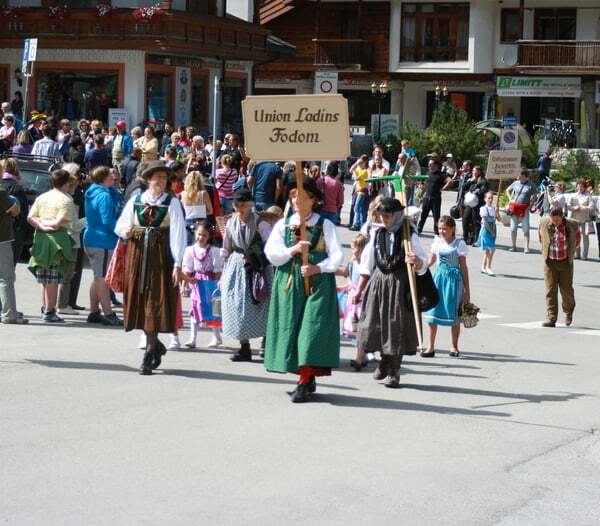 The ladin identity and the Tyrolen history are today again very important among the population, the reason why they built the museum of History, Customs and Traditions of Ladin people, near the monument of the ladinian heroine Caterina Lanz. Another place symbol is the Arabba ancient mill where rye and barley were ground. 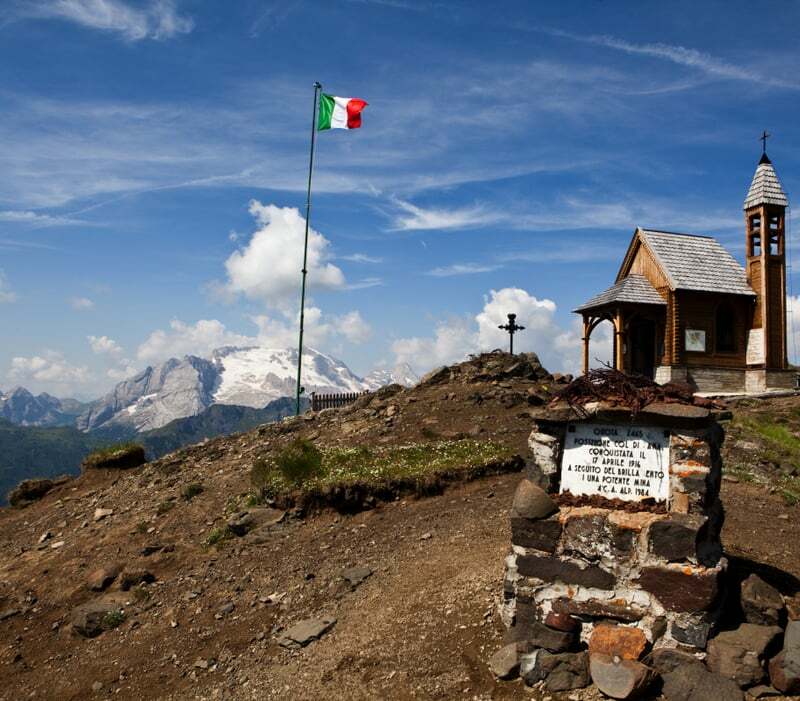 Col di Lana was a place of hard combats during the First World war with 8000 fatalities, where also the name "Col di Sangue"(blood) comes from, the reason why the Col di Lana Monte di Sangue Museum at the Pordoi Pass was built. A very famous occurrence was the mine explosion of 5 tons dynamite from the Italian sappers on the 17th of April 1916 at 23:35. Some part of mountain collapsed and 150 Austrian militars died, so Italian troups could occupy the peak. In 1917, after the Caporetto defeat the Italian troups had to leave. Also today it is possible to notice the enormous crater born after the explosion. In a short time were built a numerous number of Italian graveyards in Pian di Salesei, Andraz, Castello and also Austrian graveyards in Col di Roda, Valiate, Val Parola (2) and Pordoi Pass. In 1938 was built the Sacrary of Pian di Salesei with 4700 unkown corpses, 704 known of which 19 Austrian. In 1956 was completed the contruction of the Ossuary at the Pordoi Pass that guards 454 corpses of the Second World war. In 1935 it was built the chapel of Col di Lana, in honour of the Italian soldiers of the First World war. The war memorial in the square 7th November 1918 in Livinallongo reports the name of 135 soldiers of the Fodom valley. Starting from spring of 1918 the Fodomian refugees came back to the valley freed from the militars and began to rebuild the village, living temporarily in the militar shacks and in the few houses saved from the bombs. The reconstruction was helped by the government and the Trentinean consortium of the so-called conquered and released municipalities's charge, completed in 1923-24. With the St. Germain treaty (1923) the municipality of Livinallongo was annexed to the province of Belluno. Ten years later with the Mussolini decree the denomination of "del Col di Lana" was annected at the name, that was confirmed with the municipal referendum proclaimed by the Veneto Region in 1983.